This case was designed for the Audio Visual Professional Group. 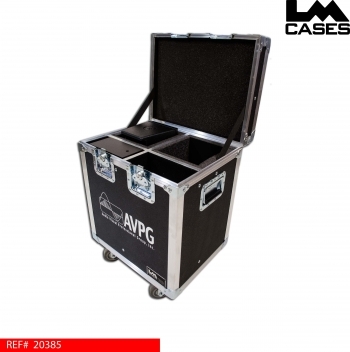 The case is designed to hold 2 Meyer UPJ cabinets and yoke assemblies. 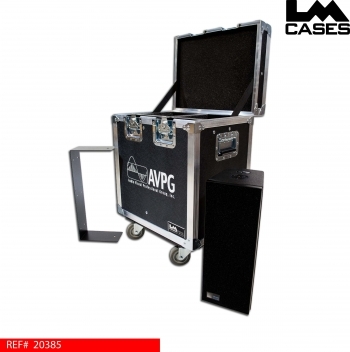 The cabinets are held in 1" PE foam lined compartments with 2" PE foam under each unit. The yoke assemblies are held in black carpet lined compartments, power cables and clamps are stored inside the yoke compartments. 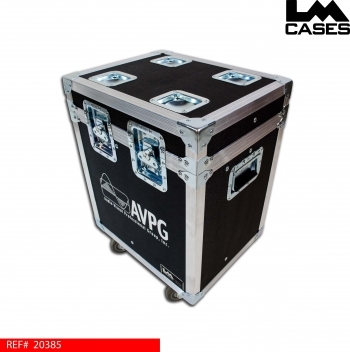 The exterior case is built out of 3/8" plywood and features 3.5" casters, stacking caster cups, and a silkscreen of the AVPG logo.